Sleazy talk show host Ted Mayne writes a tell-all book, which enrages and embarrasses several very prominent women. One of them, actress Roxanne Shield, loses her composure during an interview and winds up making a televised death threat. Of course, when Ted is murdered, she is arrested. Witnesses claim they saw Roxanne outside his apartment that night and police later find the murder weapon in her car. 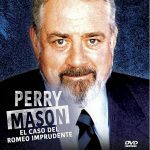 Renowned defence attorney Perry Mason accepts the challenge of defending her in court. 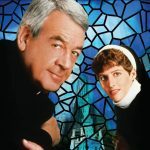 Father Dowling Mysteries is an American television mystery series that aired from January 20, 1989 to May 2, 1991. Prior to the series, a TV movie aired on November 30, 1987. For its first season, the show was on NBC; it moved to ABC for its last two seasons. It is based on the adventures of the title character created by Ralph McInerny, in a series of mystery novels. The series was produced by The Fred Siverman Company and Dean Hargrove Productions in association with Viacom Productions. 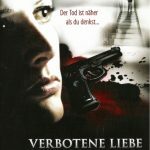 A woman investigates when her teenage son is arrested for his married lover’s murder. 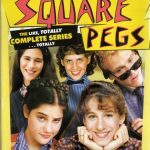 Square Pegs is an American comedy series that aired on CBS during the 1982–1983 season. The series follows Patty Greene and Lauren Hutchinson, two awkward teenage girls desperate to fit in at Weemawee High School.